Believe it or not, it’s been 10 years since Stephenie Meyer first unleashed Twilight onto the world. And to celebrate her decade reign of sparkly, non-scary terror, the super-rich author is revisiting the series. More specifically, she’s revisiting her characters’ genders. 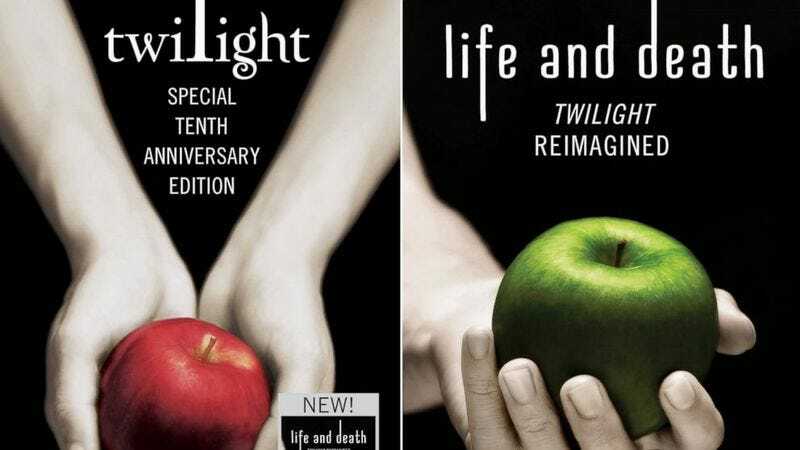 Meyer just released Life And Death: Twilight Reimagined, a twist on the original story that swaps all the main characters’ genders. Waffling Bella has become a moody boy named Beau, while Edward—and his questionably dominating tendencies—have become a female vampire named Edythe. Shape-shifting wolf boy Jacob is now Julie, and so on. Naturally, she also hopes that the swap introduces a whole new world of readers to the series, presumably because while she’s already worth an estimated $170 million, she can always be worth a little bit more.